There are many ways in which you can help ServeNow. One way is right where you are, with the people you know! Share with your family, friends, co-workers and church about ServeNow. Like us on Facebook and share with friends. Sign-up to receive our Story of the Week and pray. Also, see below for other ways to become a ServeNow ambassador to help those in need! When Ben Foley asked me to write about what drew me to ServeNow, I blanked at first. Truly, what drew me to ServeNow? Was it the people that I could help? Or was it the diversity of the people their help benefited? In all honesty, it is the fact that working with ServeNow helps me to take the focus off of myself and put it on someone else; someone who may not have a voice strong enough to help themselves. We are excited to share the third issue of the ServeNow Gazette, filled with stories from the past several months of how lives are being impacted! Read about how a summer camp in Ukraine resulted in a girl now attending church regularly, how thousands more people are being impacted by God’s Word through the addition of a new division of ServeNow, the difference water, medical camps, bicycles, mosquito nets, school buildings and more are making in hundreds of others lives! Check it out here: ServeNow Gazette 3rd addition. Have you ever wanted to make a greater difference around the world in regard to orphans, refugee’s, combating human trafficking, providing winter coverings or clean water to those in danger of death, getting Scripture into the hands of believers without bibles, discipleship resources to those with no solid teaching, medical clinic’s for those who cannot afford medicine or have never seen a doctor before? Simply put do you want to serve those in need in a greater way than ever before? Perhaps you wish you could do more right where you are to help those around the world. Now you can! This year, ServeNow has rolled out a new volunteer program! 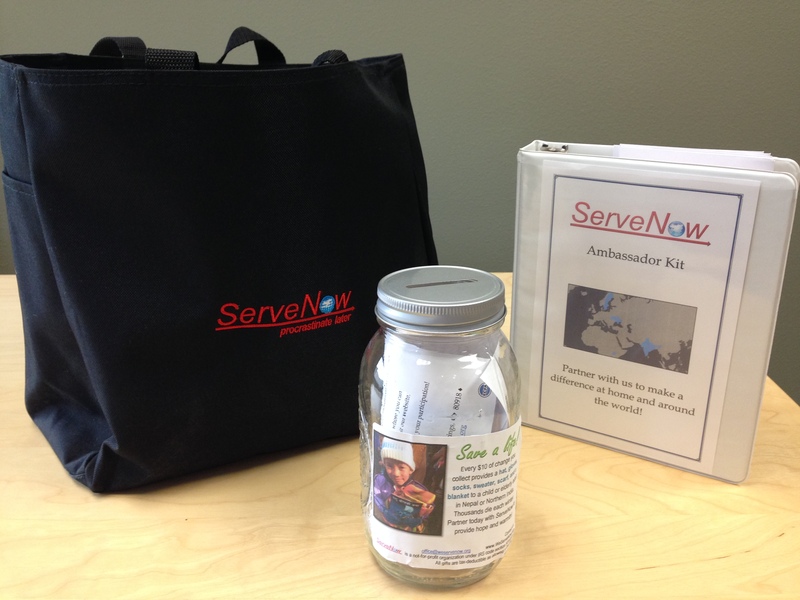 You can become a ServeNow Amabassador right here at home, in your own community!